The art of Peap Tarr and Lisa Mam in Bangkok, Thailand. 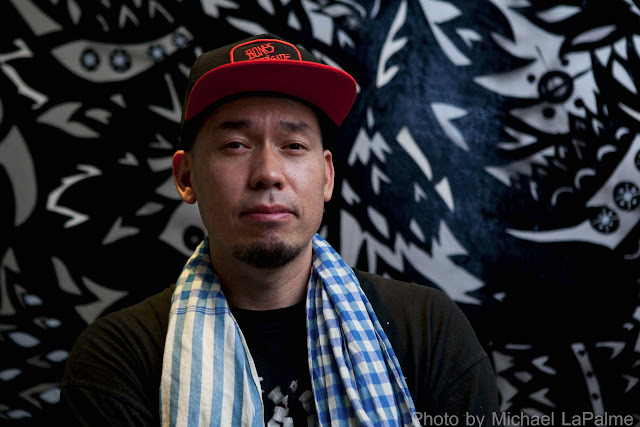 Peap mastered street art in his native New Zealand while Lisa is the first female street artist with full Khmer descent to come out of Cambodia. Two incredibly talented and super cool artists. 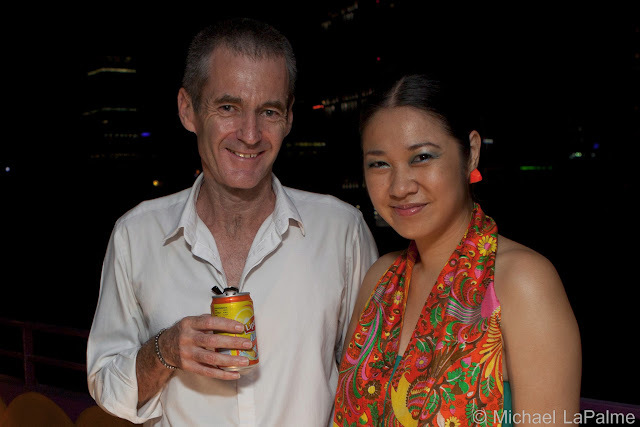 They both were in Bangkok recently and I fortunately had the opportunity to meet the incredibly talented duo. Collaborating together, they produce some beautiful and unique artwork. 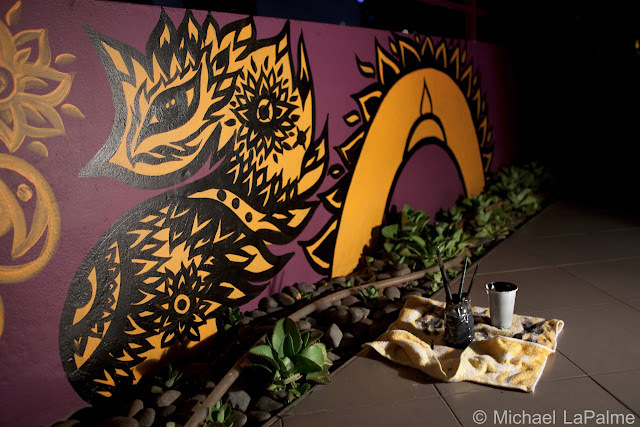 A friend of mine recently commissioned them to paint a section of his apartment in the Sathorn area of Bangkok. 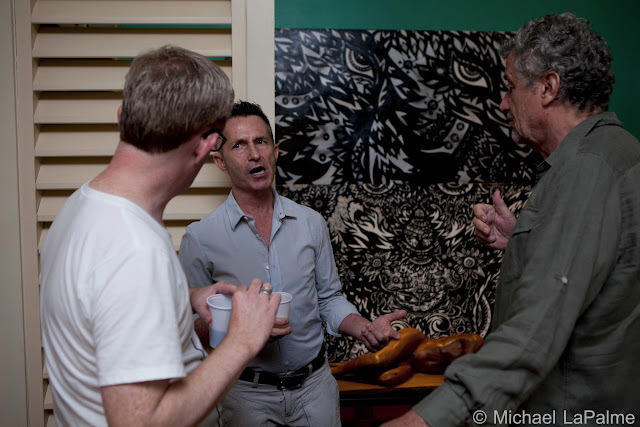 The evening was filled with interesting art, food, wine, people and interesting conversations. The view from the apartment was spectacular from this part of the city. 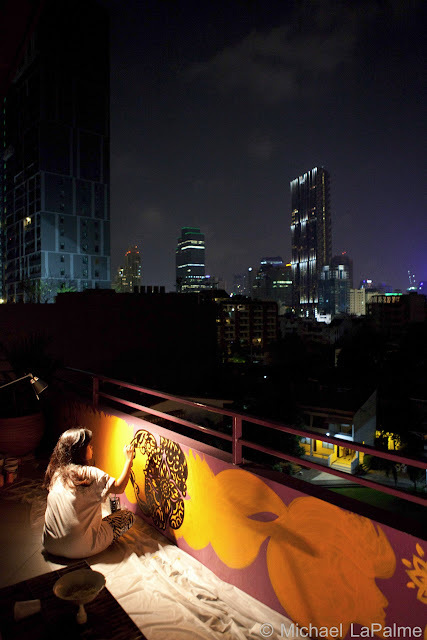 Lisa paints a section of the balcony under the skyline of the central business district. 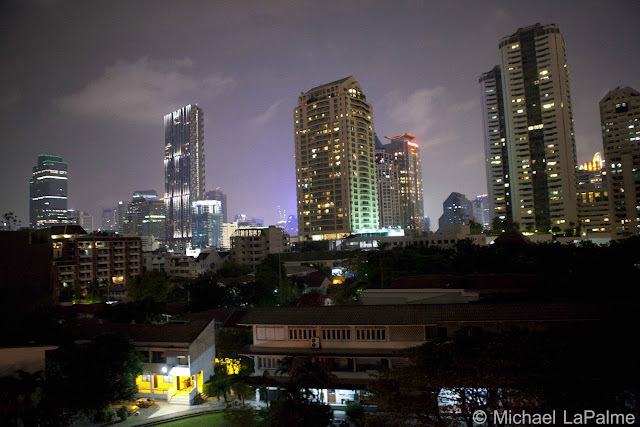 There are some great neighborhoods in this area and it is conveniently located to Sathon, Sala Daeng and Silom business districts. Ever since the immigration department moved out to Chaeng Wattana I rarely make it to Soi Suan Plu anymore. I really like this neighborhood and would have no qualms about living there someday. I really like Lisa and Peap's collaborations together. It is very unique. 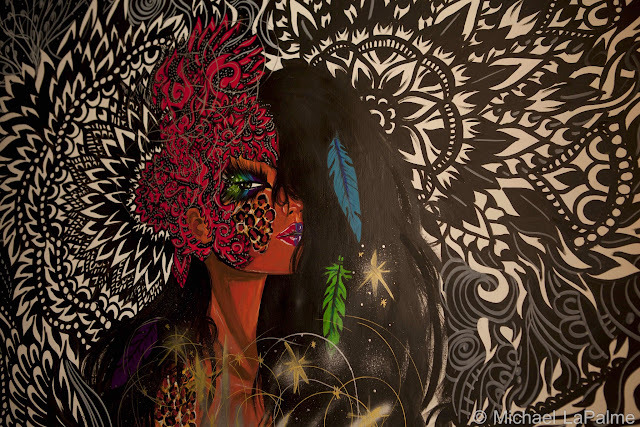 Her colorful representations of life accentuate and contrast perfectly against his mostly black and white tribal patterns. 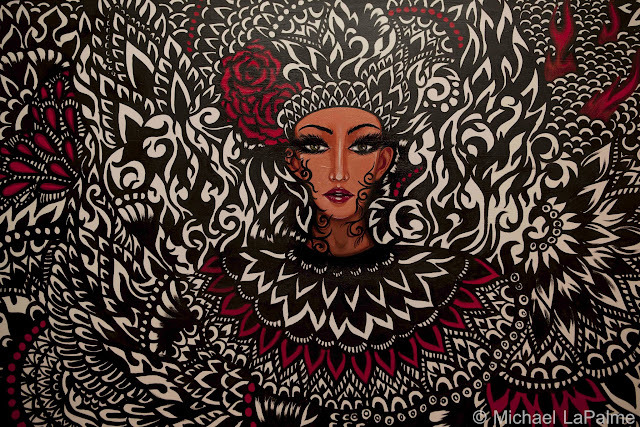 Recently, there has been a lot of interest in graffiti and street art in the city of Bangkok. There were several different events this past month including the Bukruk festival, Living arts festival and smaller showings at nightclubs and art houses. The result meant that many sections of the city were covered in fresh paint. Street art is visual art developed in public space. The term street art can refer to all kinds of graffiti, sculpture, sticker art and street installations. 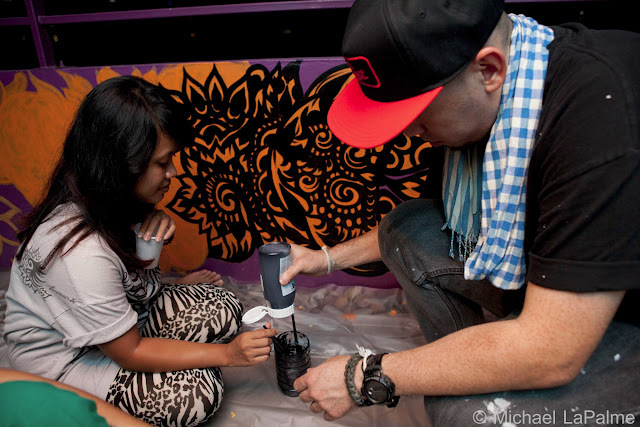 Lisa (aka ‘Lil Dots’) is the first official female street artist in Cambodia. 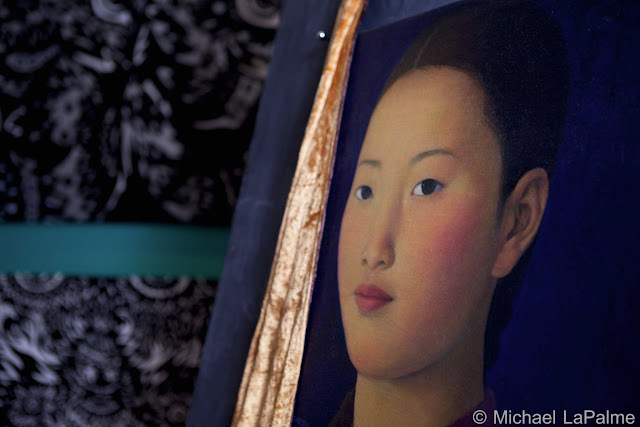 Her work can currently be seen in galleries, cultural centers, on billboards and on the sides of buildings all over Phnom Penh. 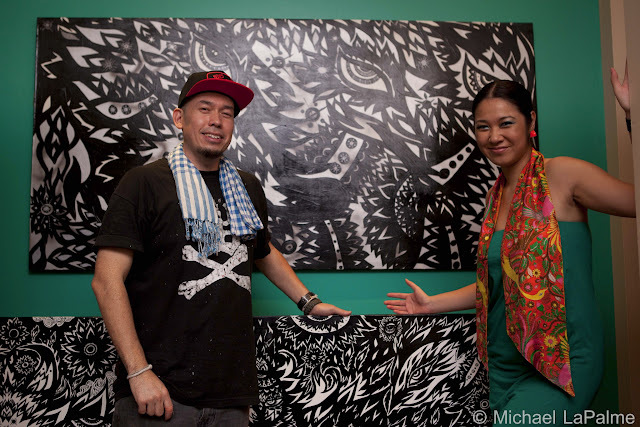 Lisa wants Khmer graffiti and street art to be seen all around the world. She believes this will put urban Khmer art on the map and inspire Khmer Youth around the world to take pride in their culture. Peap (Pee-Ap) is one passionate cat. When he’s not painting masterpieces, he can be found collaborating with hip-hop acts or launching a clothing label. 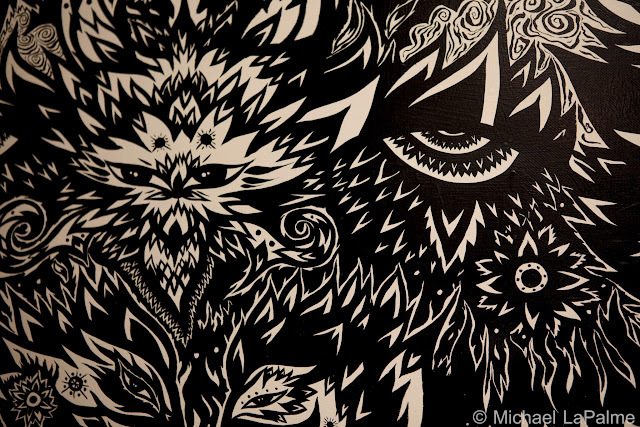 Working almost exclusively in black and white, Peap’s tribalistic patterns take as much influence from his New Zealand home as they do from his Cambodian heritage. 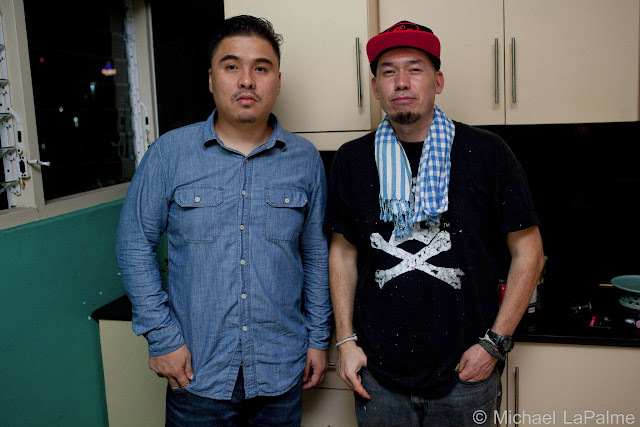 Peap is a member of Army Of Snipers, an international art collective created by Peap’s close friend Angry Woebots, and Klap Ya Handz, Cambodia’s first hip hop label.